I hope you’ve all pre-ordered Dr. Stephen Turnbull’s Ninja: Unmasking the Myth (available May 3rd). I’m about finished my review copy and am working on both a review and with luck an interview with the good doctor himself. 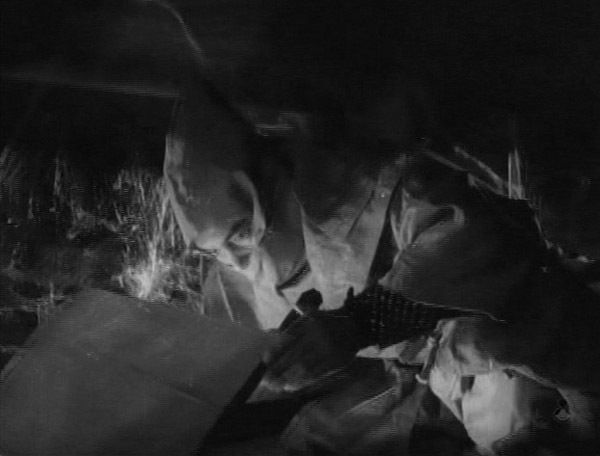 In the meantime, I wanted to re-expose you all to a film he covers in a latter chapter about the birth of 60s ninja boom in Japan. The below is an amalgamation of two articles that originally appeared on this site in 2010, presented here as one with some clean-up. Enjoy, and seriously, if you haven’t ordered the new Turnbull book, GET ON THAT, NOW! 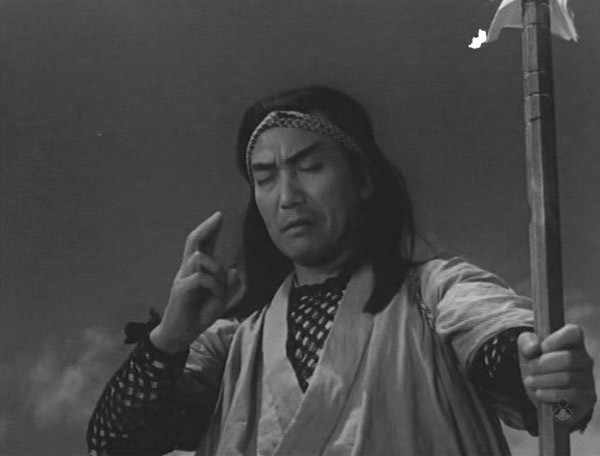 Fujita Susumu, a prolific actor whose career spanned essential jidai-geki, kaiju and WWII films alike, stars as a Sasuke more in the Samurai Spy vein than in the often seen trouble-making kid or outright sorcerer variety. 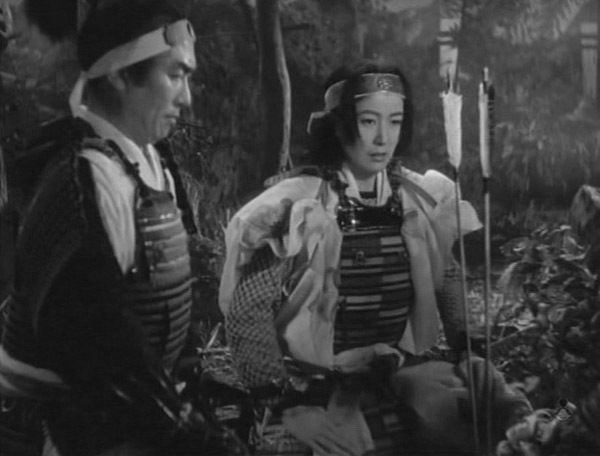 Over the course of the film, he struggles with black-clad ninja rivals (the main baddie played by vet Tsukigata Ryunosuke I believe) and negotiates a love triangle with a his noble village sweetheart and a kunoichi who although pledged to do Sasuke in inevitably falls for him. Our hero is in grey once again. There’s some pretty cool infiltration, spying and rope fighting stuff here. 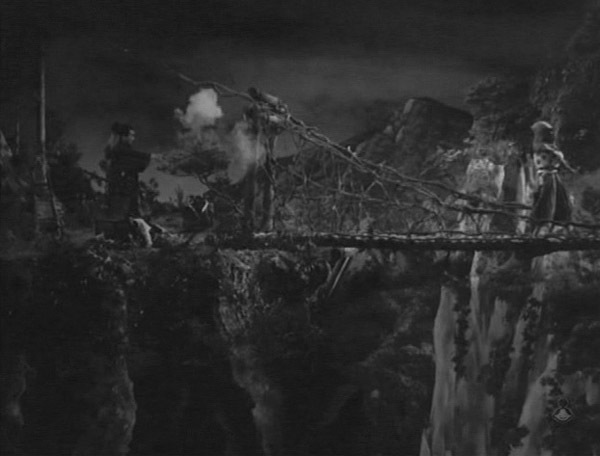 …just as impressive real exteriors. Gathering what I can from my front row seat behind the language barrier (to my knowledge there are no subtitled prints of this out there and it might not even be available commercially in Japan), it seems Sasuke is pursued by ninja who assume he’s guilty of killing their elder on the battlefield and stealing his secret scroll. 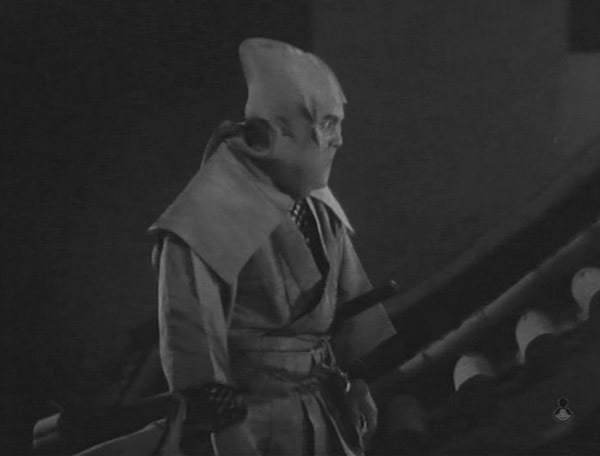 Truth of it is, the old man saw Sasuke as an honorable warrior, and before dying of natural causes, actually entrusted him with the treasure as his last act. What’s sexier than a vengeful beauty in armor? 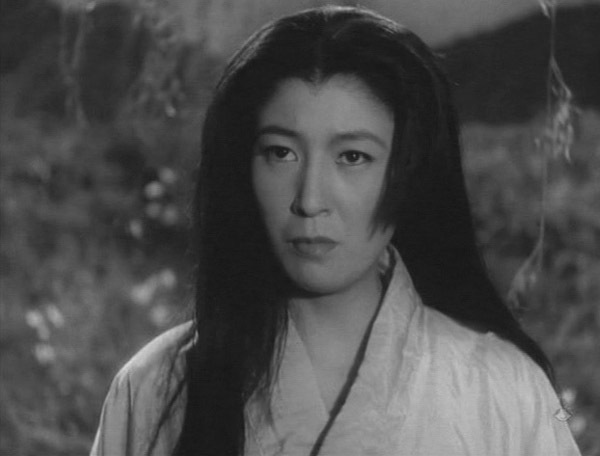 That same vengeful beauty in ninja gear! 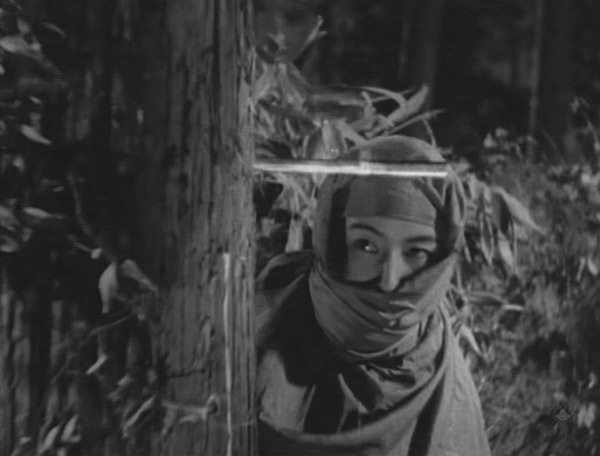 But par for the rules of genre, vengeful ninja women NEVER get the guy and live happily ever after. There’s always the ‘princess’ figure, in this case a local gal Sasuke’s hooked on, whose loyalty, chaste and general tolerance for damsel-in-distressdom is ultimately rewarded. I’m a sucker for hard features on Japanese women, big schnozes and ninja girls. What’s not to love here? SWOOON! 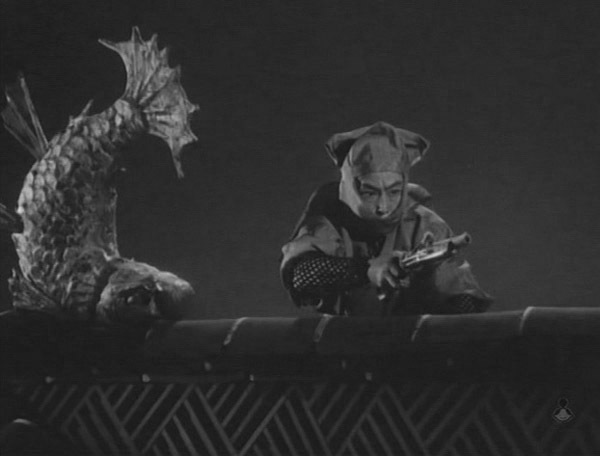 There’s some wacky wildlife in this film, too. 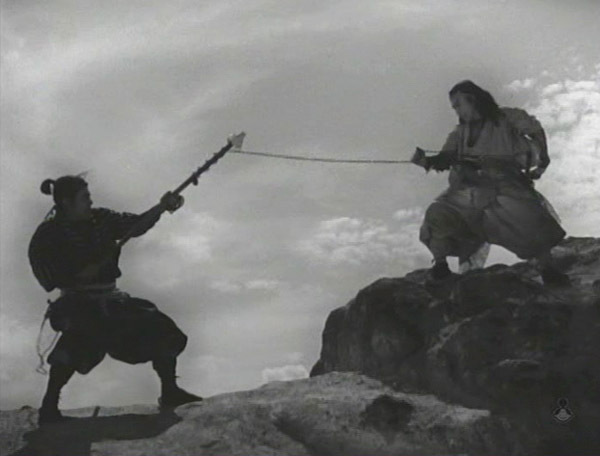 The credits use a cockfight to symbolize the duel about to transpire. 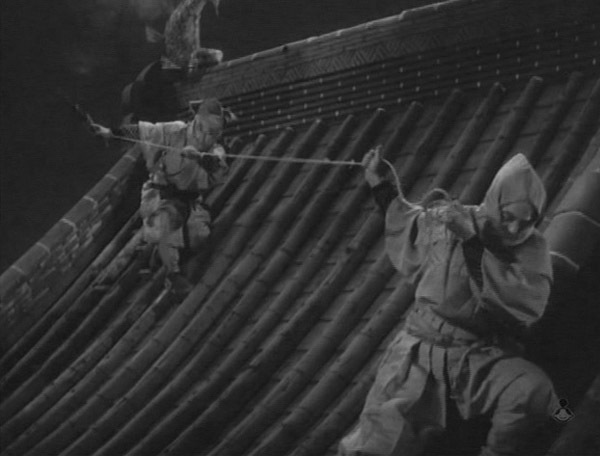 Various ninja slip lizards and snakes into bedrooms to herald their appearances. Sasuke uses a couple dozen toads as his calling card. 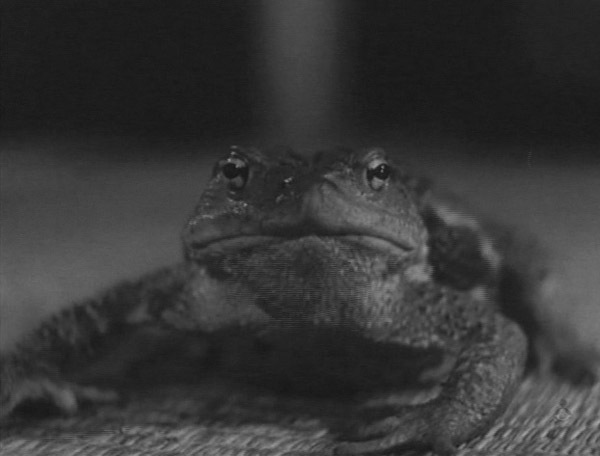 Alas, they’re just regular plain old toads. No laser horns or flame breath or growin’ humongous… Handsome fellas though. 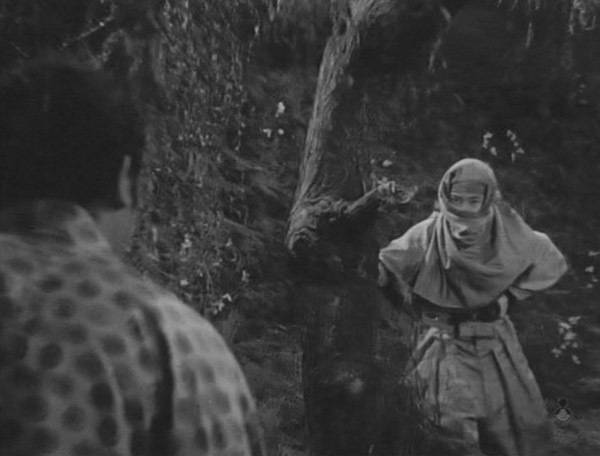 Discovering Sarutobi Sasuke Senjogadake no Himatsuri has been an eye-opener. 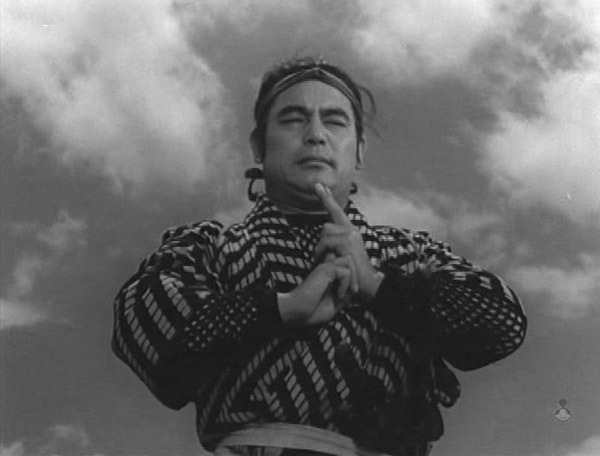 The below caps will attest to how well-rounded the film is, hitting genre beats from both the superhero sorcerer spectacle-50s and the grim and grittier shinobi-spy 60s at the same time. 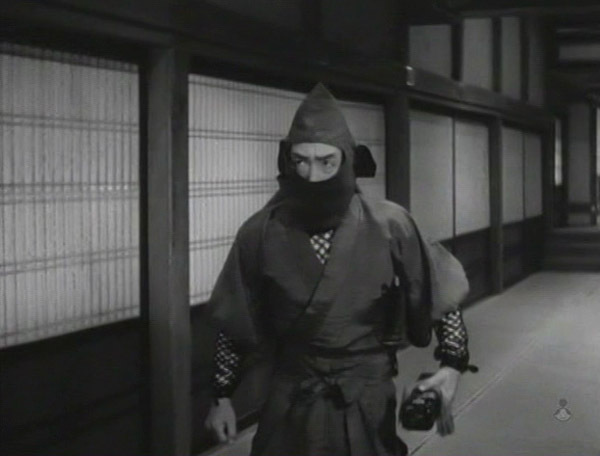 The costumers used all sorts of hood and mask styles to differentiate various shinobi. 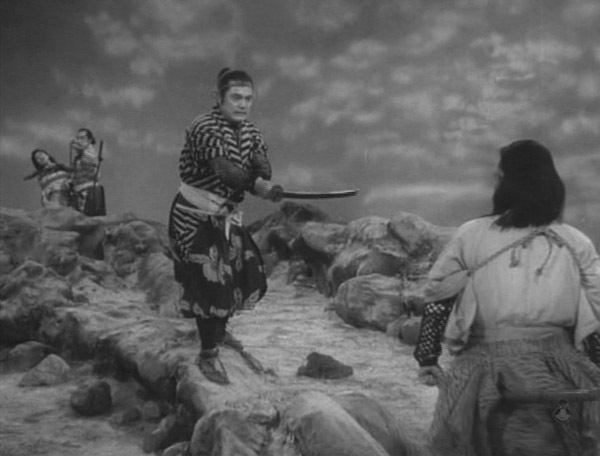 Sasuke’s relationship with the femme fatale goes from dodging shuriken to dodging affection. This poor gal, caught between an uber-noble hero and a viciously manipulative villain, ultimately pays for being on the wrong road to start with, then making some bad decisions along the way. 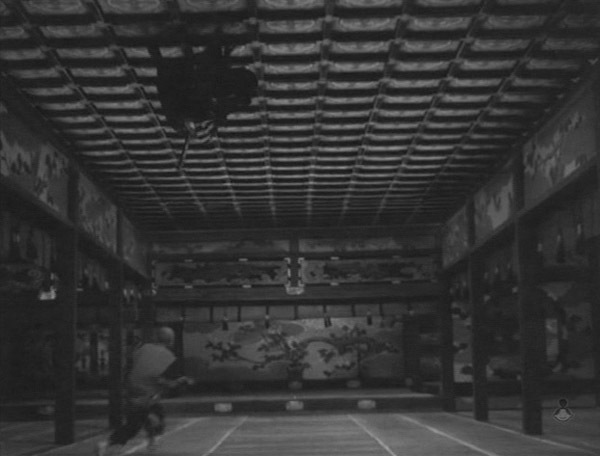 This ceiling-crawl special effects sequence is both innovative and effective as hell, as good or better a bit as anything in the 60s craze. 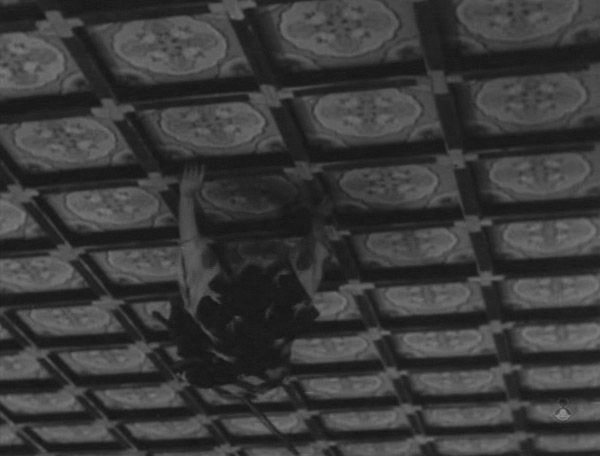 The ceiling is actually a floor with the actor crawling across it, flipped upside down when optically composited with the right-side-up room footage. Wonder why we didn’t see this compositing technique more often after this flick? 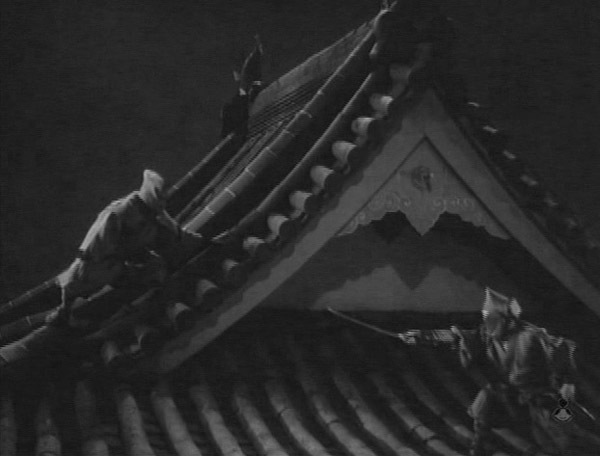 The ninja-vs.-ninja action goes from darkened hallways and crawlspaces to rooftops at night. 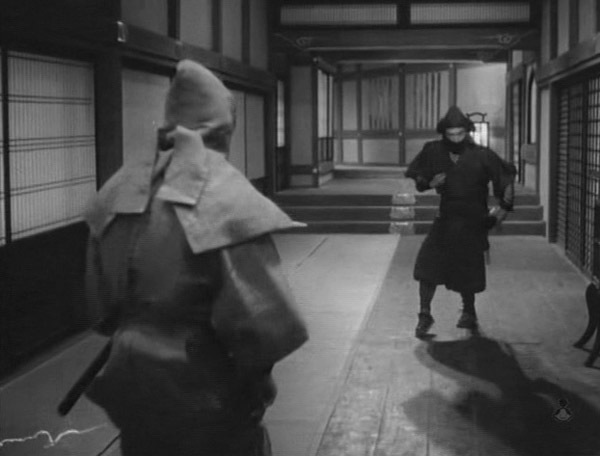 However, while there are plenty of scenes more in tune with the espionage-based shinobi-cinema of a decade later, the fighting is still rather swash-buckler-y (yep, just made that term up) and very much of the 50’s. 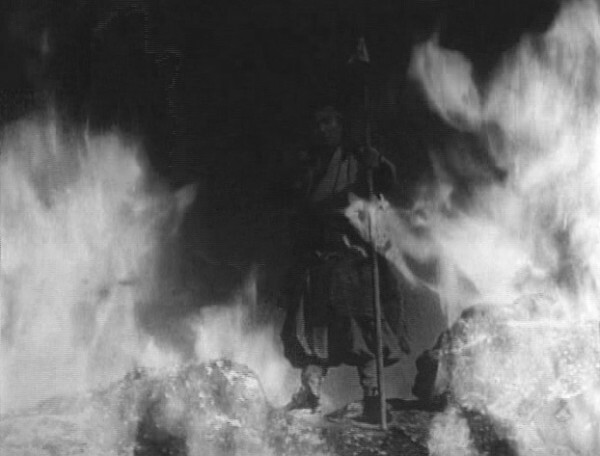 The whole jump up/jump cut disappearance thing is way WAAAY overdone, too. 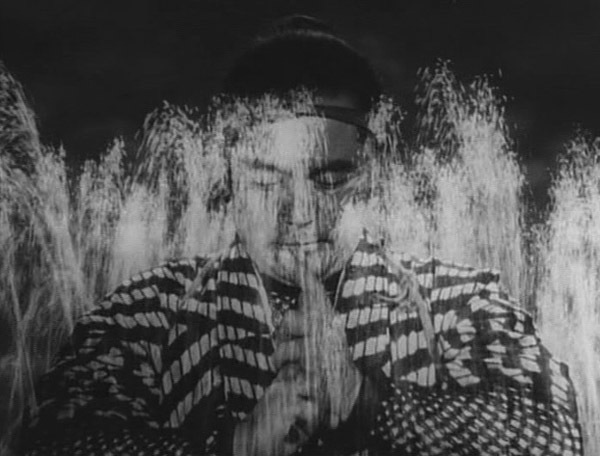 One of the best things about the 60s craze was the elimination of these over-the-top camera tricks in favor of realistic movements coached by genuine ninjutsu practitioners serving as on-set advisors. 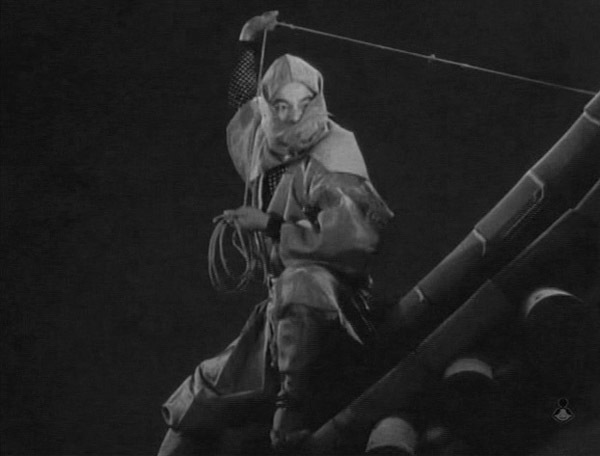 But damn, this has got to be one of, if not the, best pre-craze movie for credible hood and mask capers. 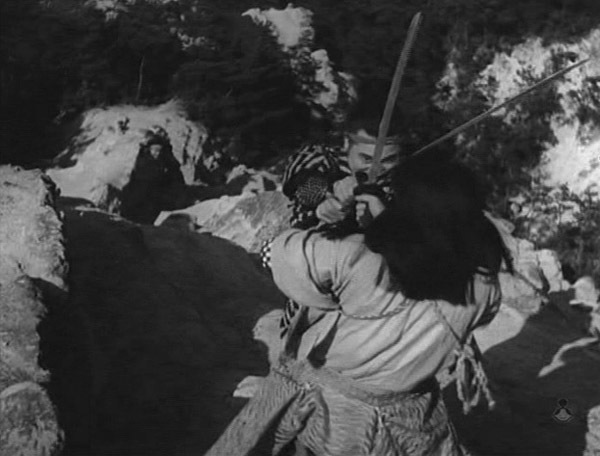 Said hoods are ultimately shed for the final duel, fought atop a mountain (and an indoor mountain-top set, never matching well when intercut alas). 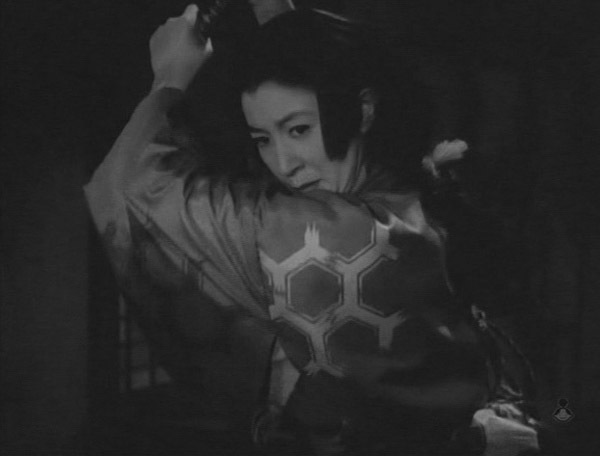 Weapons are parried and old-school elemental ninja magics are exchanged, and, surprise, a redemptive act of self-sacrifice by a certain emotionally scarred female saves the day. 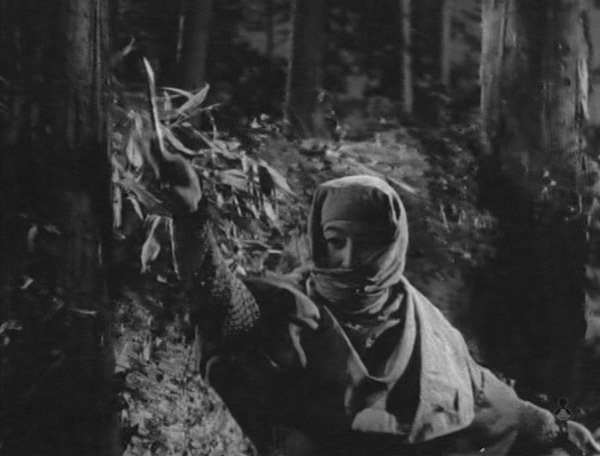 The supposed year of release, 1950 — a full 12-13 years before the craze-defining entities that were Shinobi no mono and Onmitsu Kenshi cemented the genre — makes this a truly ahead-of-its-time production. 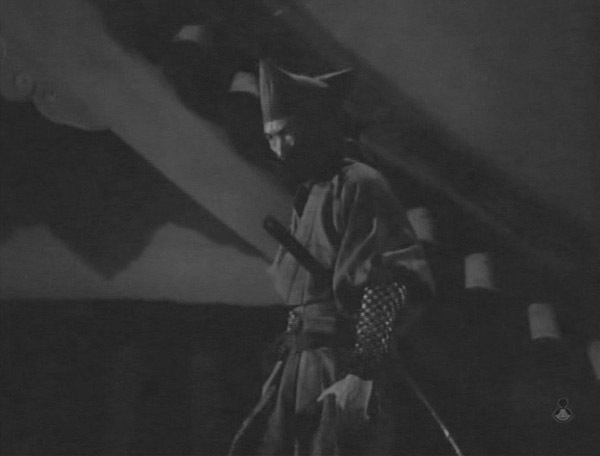 It has one tabi firmly in the ninja wizardry and samurai swashbuckling past, and another in the future that would be gritty, realistic castle espionage and black hoods. 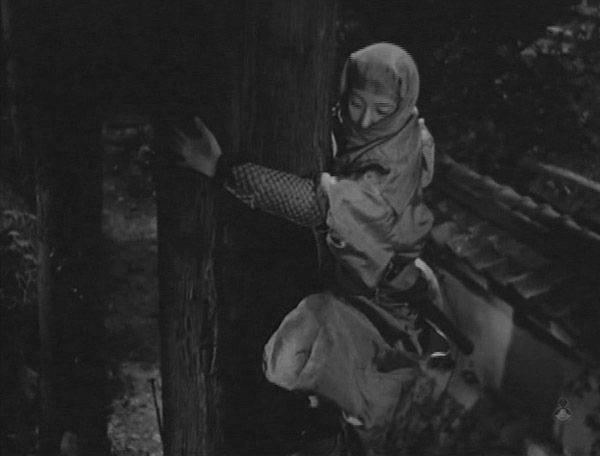 The fact that this fence-straddling moment in cinema history is also one of the myriad redefinitions of Sarutobi Sasuke — the oldest fictional creation credited with being a “ninja” — is true testament to that entity’s importance. 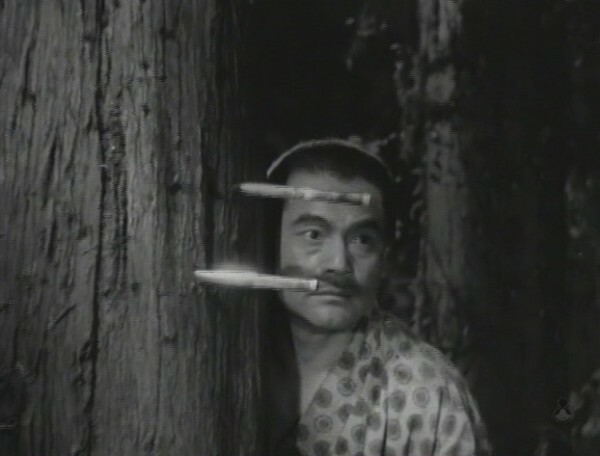 The apparent unavailability of Sarutobi Sasuke Senjogadake no Himatsuri is a true crime against humanity, and I’m hoping its reference in Turnbull’s new book spurs some activity in remedying that. *I can’t confirm this date, and wouldn’t be surprised if it was a bit latter in the decade. 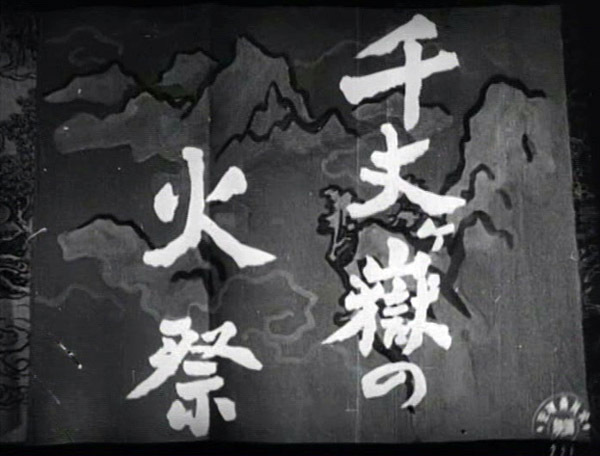 ** Any kanji reader willing to take a look at caps of the credits, you’d really be helping a brother out. 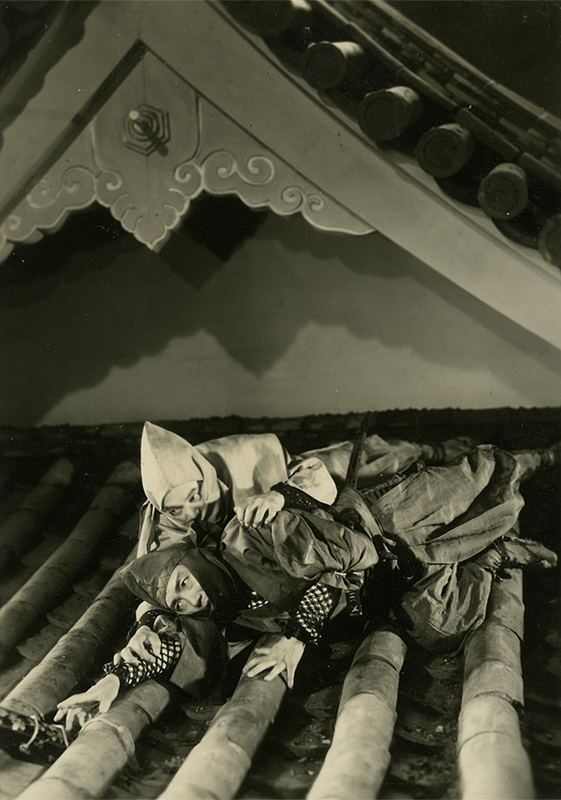 Send an email to krainville (at) vintageninja (dot) net.